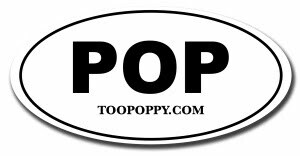 Too Poppy: Did You Forget Me, Baby? ok, i haven't even been to this page since last year! i am such a loner at heart! thanks for hanging in there, i do love you guys. next year, probably early. we will tour for sure in the u.s., possibly overseas as well. susanna hoffs and i are working now on the 70s followup to our 60s covers record, "under the covers." the 70s one is turning out amazing, and we're having so much fun! we've also been writing and recording a wonderful solo album of susanna's that we will finish sometime next year. lastly, i've produced a wonderful young group from alabama called the bridges. they now have a label and we will finish up their album this year. they are a multiharmony group of sisters and their cousin (with their little brother drumming). they remind me of the spark that fleetwood mac rumours era had. just beautiful songwriting...should be out sometime next year. i'm sure there's much more, but that's all for now. i'll try to get some updates going more frequently here. we should have a new matthewsweet.com up in a few weeks too. By the way, still no update to matthewsweet.com.